Is There More To Kobe, Japan Than Just Great Tasting Beef? Is There More To Kobe, Japan Than Just Beef? 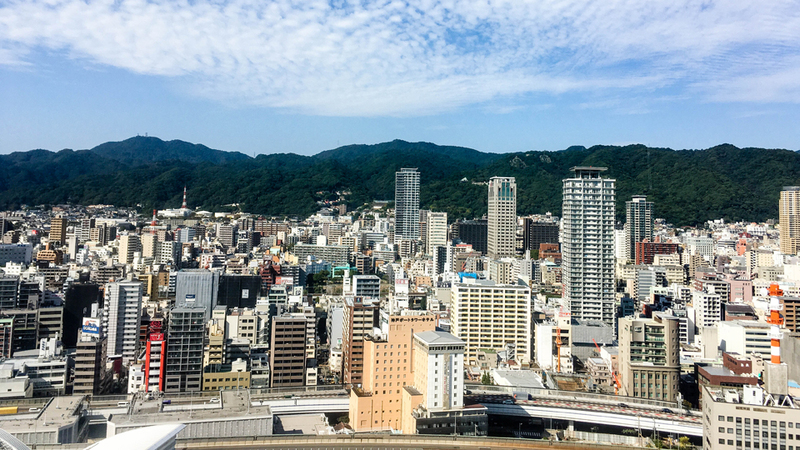 Kobe, Japan is well known for being the birthplace of what is considered the greatest beef on Earth. During my visit, I wanted to find out if there was anything else in Kobe aside from meat. 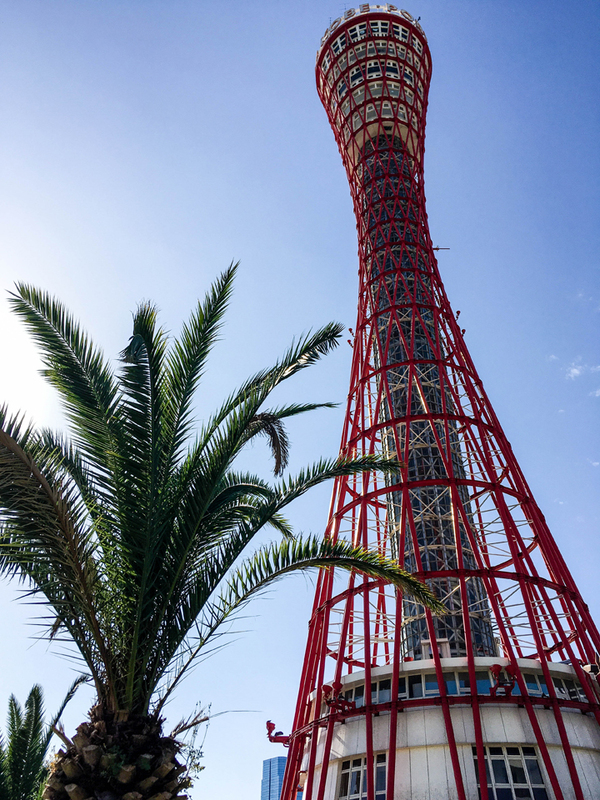 Kobe, located in the Kansai region of Japan in the Hyogo prefecture along the coast, just west of Osaka. Kobe is possibly the cleanest city I have ever seen anywhere! I’ve raved about the cleanliness of Japan in my previous posts, but Kobe sets the bar at the highest yet! Upon arriving, this beautiful coastal city became an instant love and quickly rose to what is possibly my favorite city! Facing north gives you a breath-taking mountain range, while looking south shows nothing but open waters! Another great thing about the location of this city is that it’s about 3/4 of the way down Japan. This means the weather here is mild enough to allow palm trees to grow. But don’t get too pumped up picturing sunny beaches though, as Kobe isn’t known for having any great beaches. However, if it did, this place would probably end up being literally perfect! Since no place is perfect, Kobe comes really close when it comes to its spot on the globe. However, the big question is if there is anything to do here. There’s no lounging in a hammock all day, so what is there to do in a port city in Japan? Yes, there are cow farms located in the outskirts, but what about sights to see and a nightlife? Does it compare at all with places like Tokyo or Osaka? Kyoto is widely regarded as the temple and shrine capital of the world. 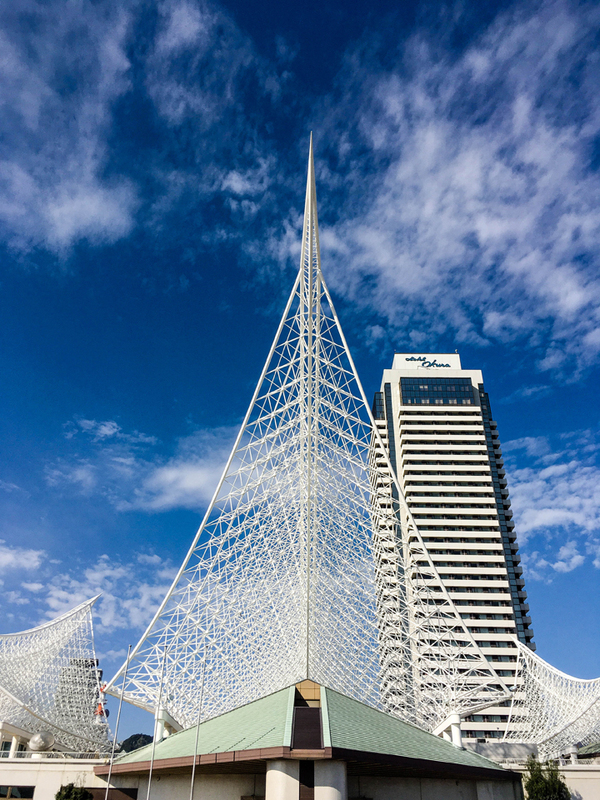 It may not have as tall of temples as Thailand or as historical as Cambodia, but there are more than you can count! Kobe of course has it’s fair share, but where it lacks in temples, it makes up for with a bigger variety of sights. Take for example the Kobe Port Tower. One thing I’ve noticed in Japan is that almost every city has a tower of some sort. The port tower here may not be as tall as others, but it’s pretty unique and has some great views! The glass elevator offers a nice view as you’re lifted to the top where it opens to the main observatory floor. Going up one more floor is the very top and you have the option of going down 2 floors as well; one floor features a rotating cafe which is where I enjoyed my lunch on this day! The tower itself is very thin, so walking around the circumference will take you about 30 seconds (yes, it’s very small). But even if you’re fearful of heights like me, it’s not that bad as you’re not up very high. While the Meriken Park area which includes the port tower is great, there is another great spot to the southwest where you’ll find Suma Rikyu Park. 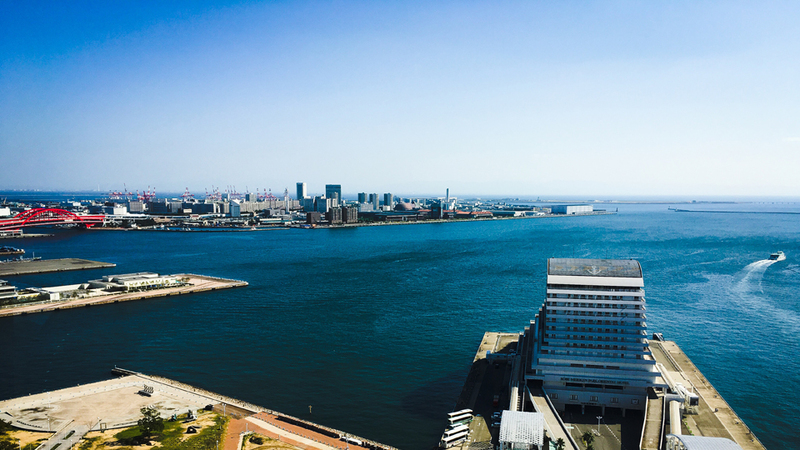 Aside from a great park featuring fountains and some impressive buildings, you’ll also get some great views of the southern area of Kobe. Even arriving late will offer lighting effects on the fountains which put on a good show and the sun setting over the city. Kobe is also home to one of the coolest Starbucks in the world! After seeing a good amount of the city I decided to head towards the range of mountains that supply the backdrop for the city. Maya Mountain isn’t the tallest in the area, but it’s the most accessible as the Shin-Kobe station is built right up against it. 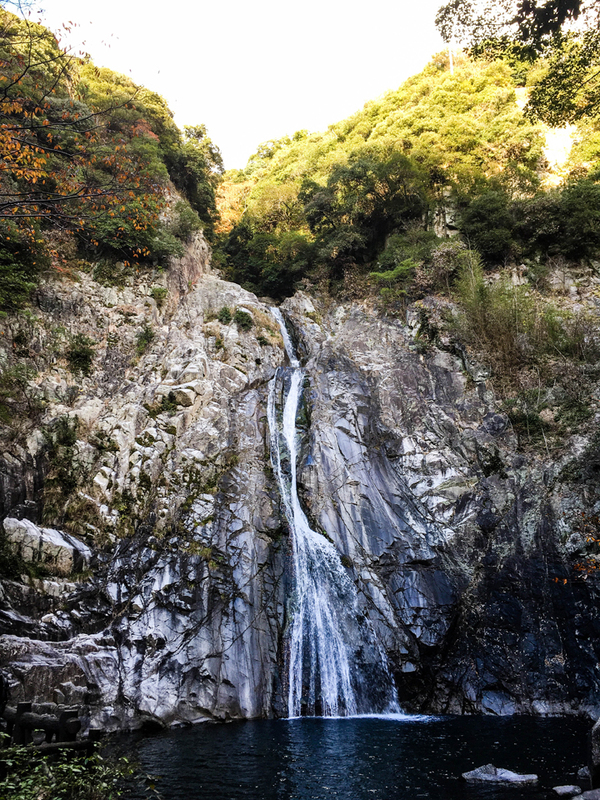 It’s a bit of a hike, but a really great spot here worth checking out is Nunobiki Falls. Of course, while the falls are the highlight, this entire area is amazing! 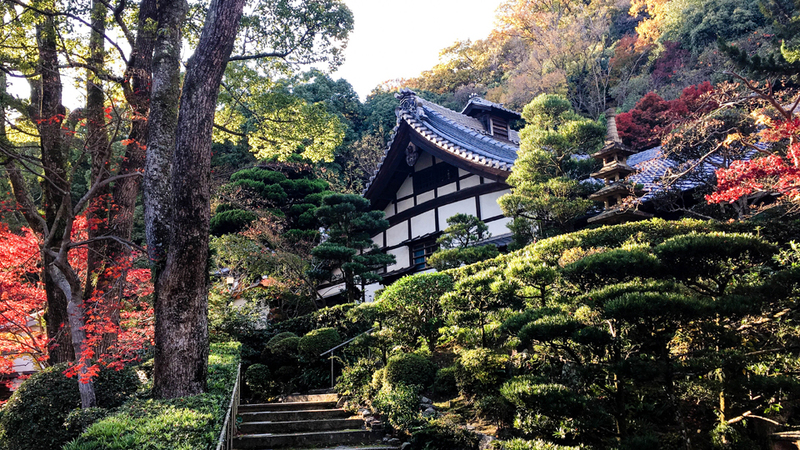 There are several hidden temples and shrines, parks, and great spots to look out at the city. Visiting this spot during the fall is highly recommended as the trees add a nice spice of color. Unlike venturing through the forests and mountains of Kyoto which are more tourist friendly, you won’t find random vending machines near the temples here. So bring plenty of water! To call Kobe my favorite city is tough, with other competitors like Kyoto, Tokyo, and maybe even Yokohama. But, I feel a bit impulsed to say Kobe when someone asks me my favorite city. 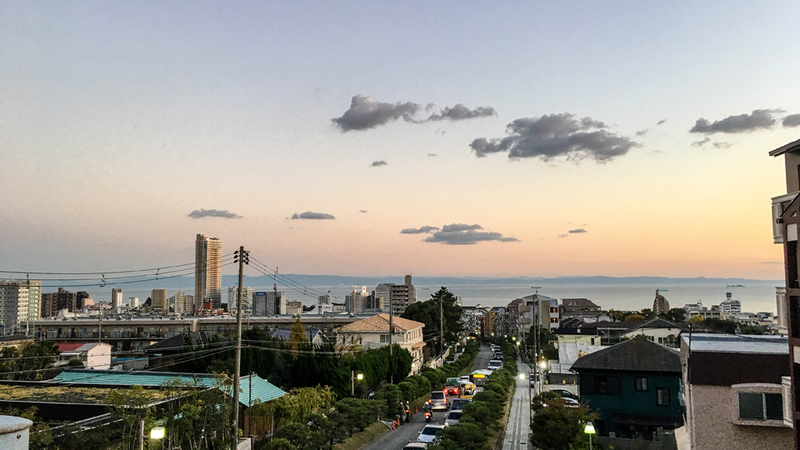 While it’s true you won’t find the crazy nightlife here, you will find some amazing spots to view, relax, and enjoy a bit more of the authentic Japanese culture. If you want a bit of city, country, mountains, and sea, all at once, I can’t recommend a better place than Kobe! Thank you for reading! For a full list of all my Japan articles click here. Next up will be two more cities in the Kansai region; Shiga and Nara. Followed by the smaller, but somewhat famous city of Yokohama located near Tokyo, which has some similarities to Kobe! Next → Next post: What Should You Hit When Exploring The Kansai Region? What beautiful scenery, and you captured it so well. It looks like a great trip itinerary, and perhaps some day we will visit. Thanks for sharing. Don’t think I would really like the city part, as I am not much of a city girl, but the nature part sounds amazing! One day, I’ll go to Japan, and I’ll try that beef AND wander around ! !